A business telecommunication system is a telephony and data communications tool focused on end-to-end services (e.g. customer to business). When customized and installed, a business telecom solution can help to improve customer service levels, enhance teamwork within the business, and increase your bottom line by lowering the overall telecommunications costs. What is VOIP vs Digital? Voice Over Internet Protocol (VOIP) is the transmission of voice using your current network, rather than traditional telephone lines. VOIP systems can consist of IP phones and lines, SIP phones and lines, desktop applications, and video conferencing. VOIP is a cost-effective and scalable telecommunication solution that is customizable for organizations of all sizes. Digital telecom systems operate using standard telephone lines and do not rely on internet or network cabling infrastructure. They are best suited for organizations with smaller infrastructure, small IT support teams, or more rural environments. Digital telephone systems can be installed using existing cabling — they do not require the installation of additional cabling or networks. Digital telephone systems offer stability and reliability, and are easily customizable with a variety of add-on functionality. Do you install and service VOIP? Yes, we install, service, and maintain a wide variety of VOIP systems. We will determine the best VOIP system for your unique business needs with our complimentary consultation. We are partnered with top manufacturers including Panasonic and NEC to offer our customers best-in-class options. Will VOIP provide cost savings for my business? Yes. One of the inherent benefits of switching to VOIP is that is will provide cost savings for your business. There are a few factors to consider, such as the quality of your network and the number of your employees, but you can say goodbye to long distance charges and other fees! What is a Session Internet Protocol (SIP) trunk? Session Initiation Protocol (SIP) trunking is the use of voice over IP (VOIP) to facilitate the connection of a private branch exchange (PBX) to the Internet. The main pro of a SIP trunk is the ability to combine data, voice, and video into one line. Will a SIP trunk provide savings for my business? Absolutely. Businesses typically see about 50% in savings with SIP trunk. The cost of a single line is less expensive than that of a physical phone line, and it allows for unlimited long distance calls! How do I converge my voice and data platforms? We can provide you with a new telecom solution to combine your voice and data platforms for increased convenience and decreased costs. We will do a full business assessment to ensure your new system satisfies your business needs. What features will I receive with my new telecom system? We will make sure you receive the right features to take your business to the next level. 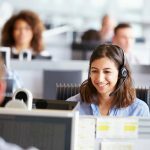 Which telecom system is best for my business? After our free consultation, we will come back to you with system solutions to suit your business needs. Each consultation and proposal is uniquely created to reflect the needs of your business and will take into account off-site offices, call centres, budget requirements, etc. Do you provide support for your systems? Yes. We provide support for all of our telecommunication systems, and all our technicians are trained and certified to handle any issue that may arise. When you install a City-Com telcom system you will receive support for the life of your system. How long does it take to receive support? All of our technicians are locally dispatched and are typically on-site within three hours. Do you provide emergency support? Yes, we offer guaranteed emergency support and 24/7/365 service. This service is available with a yearly fee based on the size of your business. 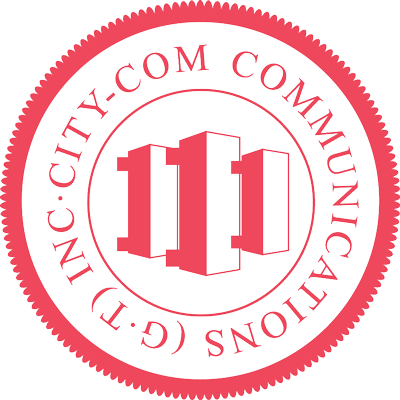 For answers to additional questions, please contact the team at City-Com Communications. We’re here to help you with all your telecom system needs.